Man City beat Crystal Palace 3-1 in the Premier League which took them to the top of the table for just a brief period of time. But as soon as Liverpool beat Chelsea, Jurgen Klopp’s men once again returned to the first spot on the Premier League table. After the Chelsea game, Liverpool have games which should not be a too big cause of concerns for the Merseyside outfit but the same cannot be said about Manchester City. The Citizens still have to take on Spurs at home and the very next game will be a Manchester Derby at Old Trafford. 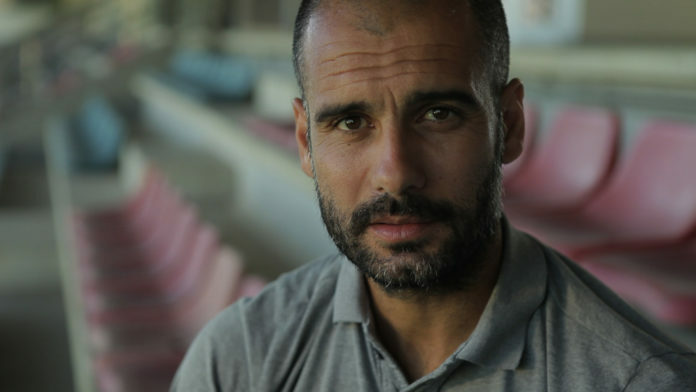 But despite these tough round of fixtures, Pep Guardiola has claimed that the title is theirs to lose. “We have to win every game if we want to make back-to-back titles. We know that, and the players have shown they want to do it, and I didn’t have any doubts about that. “The amount of games we have had – Brighton, and three days later the Champions League, and now here, and the way we played for 75 or 80 minutes was really good. The only real problem that Liverpool could face is vs Wolves during the final game of the season given the Molineux side have been in fine form this season. But still, experts believe, the Reds should pick up all three points from this game given they will be playing at Anfield. Man City apart from Spurs and United will also take on Watford and Leicester City. And both these sides are more than capable of causing an upset. Read: Liverpool’s Virgil Van Dijk is not the best centre-back in the world. Read: Jurgen Klopp is in full praise of ‘this’ player after Chelsea win. Read: Here’s who Sir Alex Ferguson is backing to win the Premier League this season. Read: Jurgen Klopp finally says what Liverpool fans have been wanting to hear for a really long time. Previous article‘This’ 26 Y/O midfielder is set to be released by Rangers during the summer: Good move?